Congratulations to these amazing students! AP Testing will be taking place at BCHS in May 2016. AP testing is a great way to take a test to earn college credit. BCHS will be offering exams for AP Physics, AP World History, AP Human Geography, and AP Spanish Language and Culture. If you are interested in learning more about AP testing and how much is costs, please view the registration form by clicking here. Local Scholarship Deadline Coming Soon! Seniors should complete their local scholarship application by Feb 19th. This application will submit their name for consideration for as many as 50 local scholarships. Parent must sign the application! Click here to access the application if you do not already have it. Apply for local scholarships by completing the BISD common scholarship application. Bryan Collegiate PTSO has several opportunities in February and March that will allow Parents, Students and Teachers to get involved. We need your help with all of the following events. WE NEED HOUSEHOLD Items and gently used furniture for our annual garage sale. This event helps with the Junior/Senior Prom, Project Graduation and Wish list the staff might have. WE ALSO NEED parents, students and teachers to help the night before, and the 2 days of the event. If you cannot commit to all three days any day/days will be appreciated. 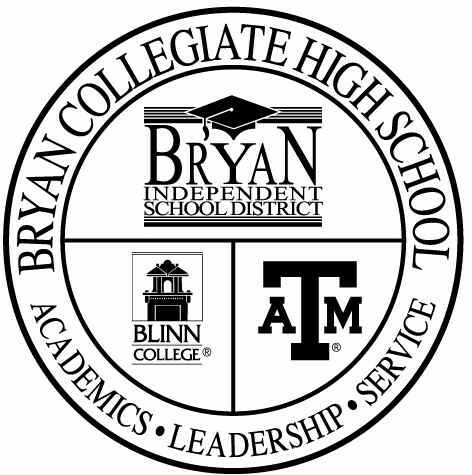 If would like to help with any of our upcoming events please contact the Bryan Collegiate High School PTSO at bryancollegiate.pto@gmail.com Or contact Belinda Fikes at (979) 587-0760 or Valeri Gibbs at (979) 739-1619. Our next meeting will be held February 8 at 6 PM in Room 101. March 5 from 8 p.m.-11 p.m.
Keep it traditional and match your date! “Old Hollywood” is the theme so wear BLACK AND WHITE! Tickets go on sale February 15 during lunches. Yearbooks can still be purchased on-line at Balfour.com for $40 as well as Senior Ads. Students can also bring cash or checks to Room 309. Limited quantities of yearbooks and senior ads are available. Don't delay. Please join us in supporting The Leukemia & Lymphoma Society’s (LLS) Student Series campaign. Your support will help fund the therapies and treatments that help save the lives of blood cancer patients today. Thank you in advance for your kind donation. The last chance to sign up for the Spain trip on the monthly payment plan is coming up in February. See Mrs. Probe with questions and/or visit our tour website at www.eftours.com/1725639XW for more information. 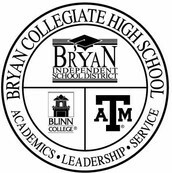 Bryan Collegiate's Federal report card is now available. If you would like to view it click here. March 13 - Daylight Savings! Spring Forward 1 hour!